It was 2003. Oh, what a night. Specifically, in late December back in twenty-oh-three. 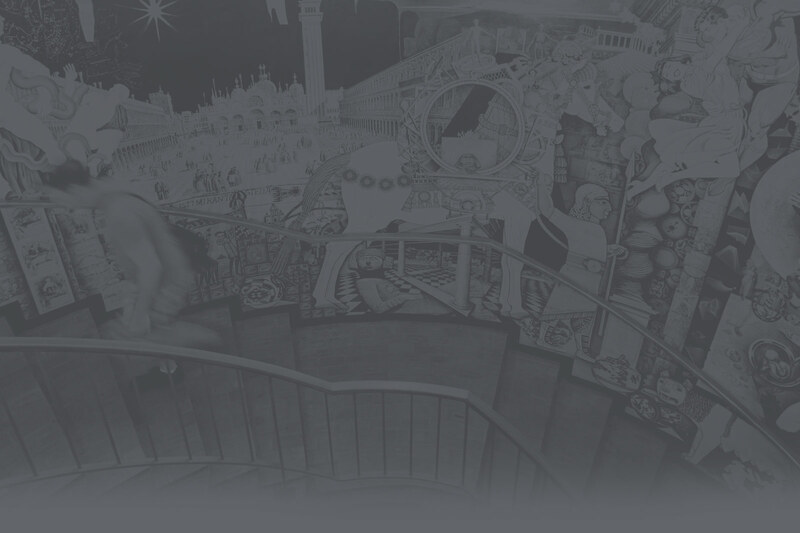 No wait–that’s an old song lyric, isn’t it? Let me start over. I worked the circulation late shift back in 2003, 3pm to midnight. We were in the waning days of December finals week, and the library was dark and quiet. I was alone at the circ desk, maybe even in the whole library. That night, at some point I turned my back to the desk to tend to some task or other, but only for the briefest of moments. When I turned back around there was a ceramic garden gnome on the circ desk, sitting proudly as if he belonged there. He had a book in his hand and his finger extended, as if to scold or exhort someone. I was baffled. There had been literally no one anywhere in the lobby only seconds before, and there was no one around in that following moment. So I took the gnome off the circ desk, set him aside in the staff area, and forgot about him. Maybe someone would come claim him. At some point later on–and bear in mind that this was 15+ years ago, so the details are fuzzy to me–a student noticed the gnome behind the circ desk, and inquired about it, asking if she could borrow it as a good luck charm to help her study, presumably because the gnome was holding a book and looking serious. 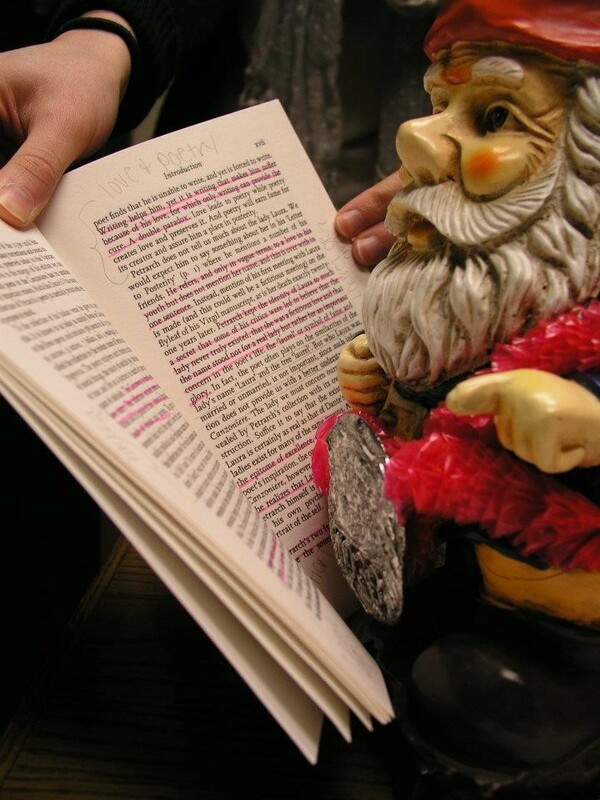 At some point in the year or two that followed, given the organic evolution of the gnome as a good luck charm for studying, the idea was generated to barcode and catalog him so that students could check him out. (The records of who conceived this notion are unfortunately lost to history.) This was done, and he was added to the reserve holdings as a two-hour loan item. But we couldn’t just let him stay with a generic descriptor. “The gnome” just wouldn’t do. He needed a name. So a campus-wide contest was held, and the winning entry was “Gnome Chomsky”, submitted by student Jordan Marshall, in honor of the famous MIT linguist and cognitive scientist Noam Chomsky. 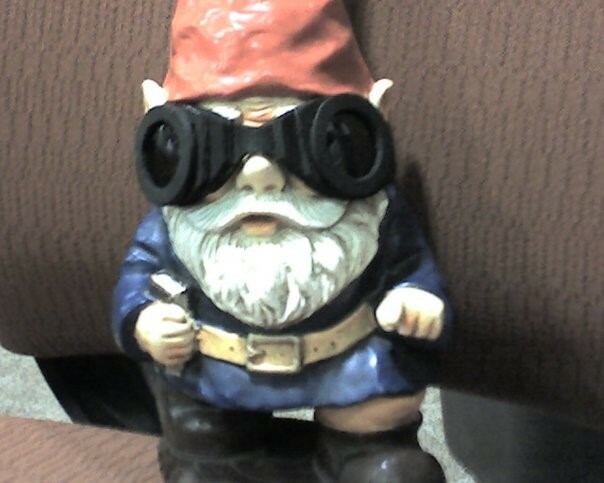 That original gnome–Gnome Chomsky–lived with us for 9 happy years until tragedy struck. We didn’t really want to consider that option–after all, no one wants a new dog right after saying goodbye to a longtime canine friend–but the library just wouldn’t be the library without a Study Gnome. So we conducted a search. 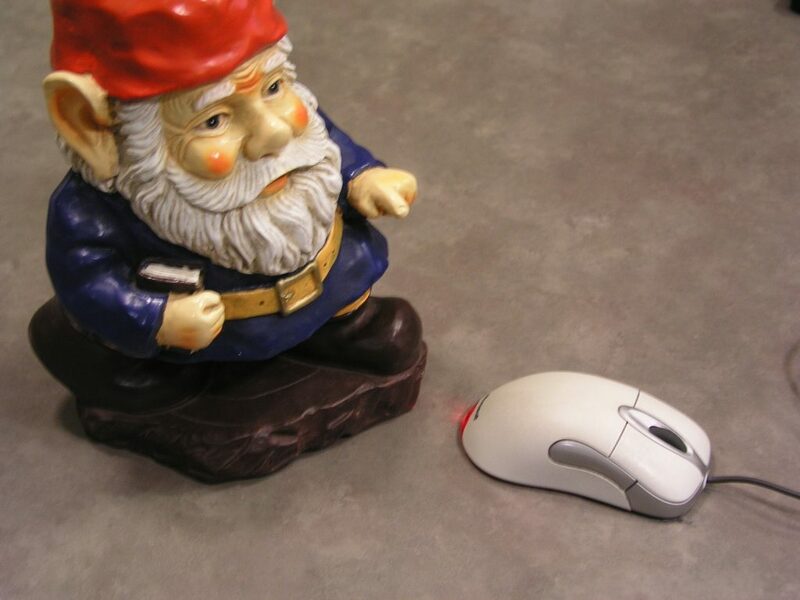 We launched a new campus contest to “Gname the Gnew Gnome!” in February of 2013. The winning entry this time was “Sherlock Gnomes”, submitted by students Corey Fisher and Julia Nguyen. Other submissions included Gnomeo, Jerome the Gnome and Gnomer Simpson. The future is brighter than ever for this vertically-challenged bibliotechnical mascot. We wouldn’t be Coates Library without him. 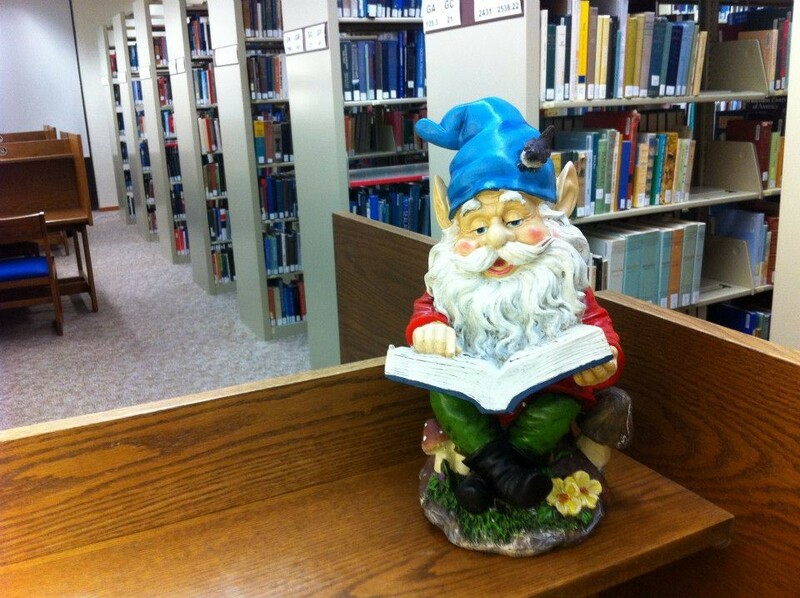 Would you like to get up close and personal with the library gnome? Come by the circulation desk to take a peek or even check him out for up to two hours.